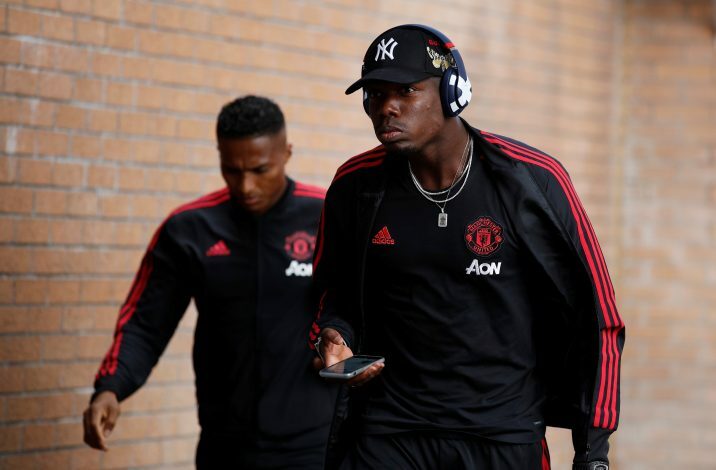 Reports have surfaced that Manchester United manager Jose Mourinho’s training ground disagreement with Paul Pogba was related to the latter’s Instagram post after the Carabao Cup defeat to Derby County. The pair ​was seen involved in a frosty exchange on Wednesday during a training session. It has been learnt that the manager was unhappy regarding the Frenchman’s Instagram post. Pogba was seen joking around with teammates Luke Shaw and Andreas Pereira during the match at Old Trafford. The video has since been deleted from the midfielder’s Instagram story. Reports state that it was the timing of that video that caused a stir. According to ​The Sun, Pogba has claimed that the video got uploaded belatedly, at 10.28pm BST, due to problems with the WiFi at Old Trafford. As per a footage by ​Sky Sports News, Mourinho was seen calling the press officer in order to seek information. “John, come here please. What did, er, when did Paul post on Instagram?” Mourinho was seen asking. Now, it has also been learned that the chaos surrounding the post has been cleared. Jose and Pogba have shared a fractious relationship between them since last season. When Mourinho appointed Pogba as captain in absence of Antonio Valencia for ​United’s first game of the season, there was a hope among fans that things are on the better side. But Pogba was stripped of vice-captaincy recently, and it is now being stated that the 2018 World Cup-winner wants an exit in the January transfer window.